For medicinal purposes, aloe is most commonly used externally to treat various skin conditions and burns. Not only does it soothe the skin, ease pain and reduce inflammation, studies have been done to show that using aloe as a topical treatment to burns will help speed up the healing recovery process. Many mechanisms have been proposed to explain the wound healing effects of aloe. The simplest of these is that aloe acts as a moisturizing agent. However, many aloe constituents are pharmacologically active, and some have anti-inflammatory effects. Aloe also contains natural salicylates and other substances may inhibit the production of inflammatory mediators such as a bradykinin and thromboxane. 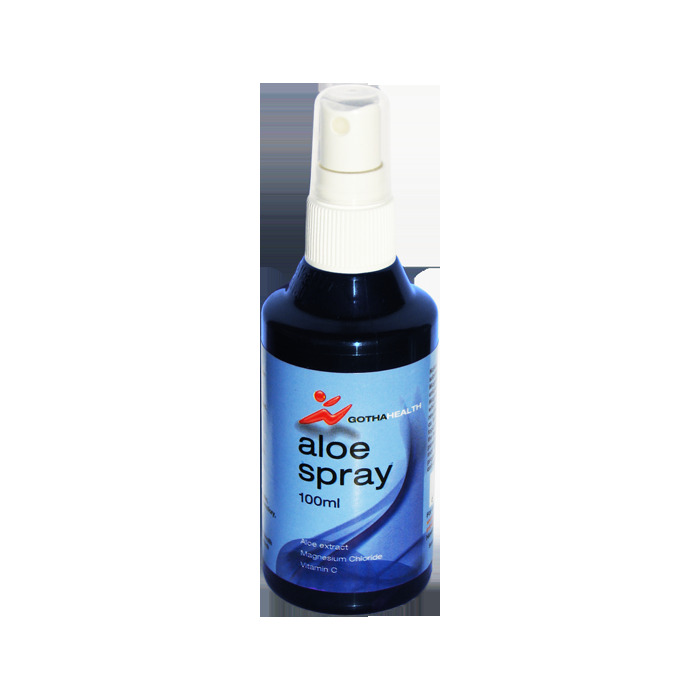 Furthermore, aloe may have anti-bacterial and anti-viral activity. The gel polysaccharides, particularly acemannan, have immunostimulatory effects in vitro. Some constituents of aloe may have anti-mutagenic effects. Aloe may alter vascular tone, improving blood supply to wounded tissue. Vitamin C is an antioxidant, which when manufactured into a topical formulation, is proven to be effective in preventing the ageing effects of the sun on skin. It is also known to promote wound healing as it aids in stabilizing collagen. The antioxidant properties of Vitamin C can also be used to reduce the harmful effects that smoking, excessive alcohol and stress place on human skin. Topical vitamin C has shown to protect the skin from UV damage caused by prolonged sun exposure by reducing the amount of free radical formation and/or sunburn cells. Exposure to UV light has also shown to decrease the naturally occurring vitamin C levels in the skin, thus topical application of vitamin C restores the skin’s natural levels. Other studies also suggest that vitamin C may play a part in activating collagen metabolism and retaining skin’s youthful elasticity. Sprayed onto the skin, Magnesium Chloride is readily absorbed and can rejuvenate the skin, reducing the appearance of fine lines and wrinkles as well as reduce the symptoms associated with eczema and psoriasis. Through skin absorption, the magnesium enters the cells of the body and has a beneficial effect on hair condition, immune system health and general body health as magnesium is required for over 300 chemical reactions in the body.